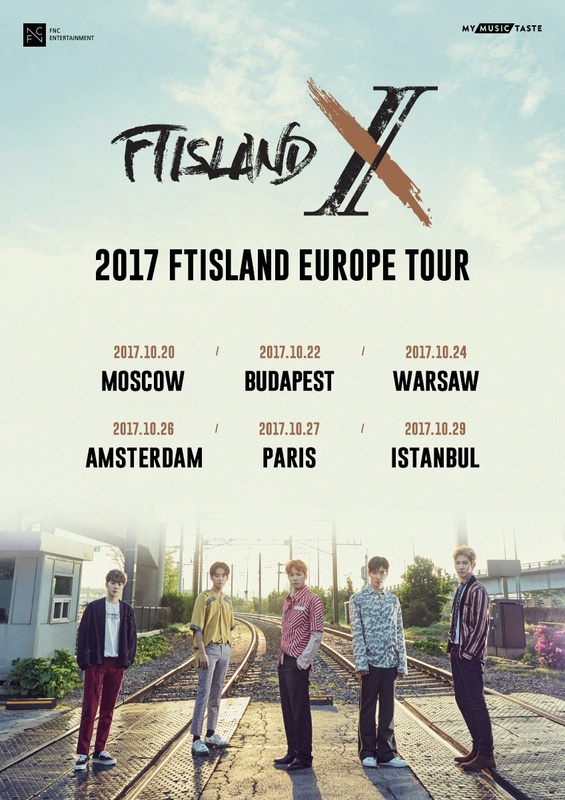 FTISLAND will be returning to Europe for a second time to celebrate their 10th anniversary. The group will be heading to Russia, Hungary, Poland, The Netherlands, France, and Turkey this year. FTISLAND went to Europe in 2015, but only visited France that time. MyMusicTaste helped fans around the world to rally the band to come to Europe. 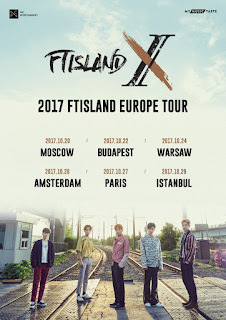 The "2017 FTISLAND LIVE [X] EUROPE" tour will kick off in Moscow, Russia on October 20th and will end in Istanbul, Turkey on October 29. Tickets will be available starting to August 21st at 9 AM KST, for those who requested the tour via MyMusicTaste. General sale starts on August 24th at 9 AM KST.